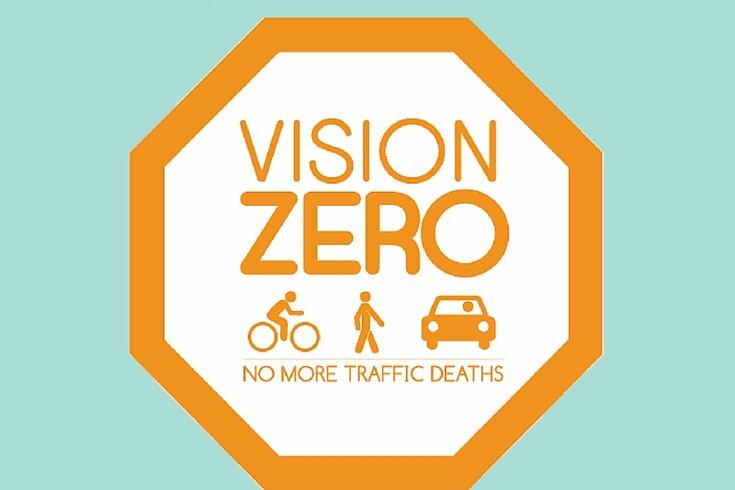 I attended the Vision Zero Conference held on Dec. 3 at Thomas Jefferson University as a member of the National Motorists Association with the goal of learning about this important social movement and political initiative. I came away with a renewed respect for many things going on in Philadelphia as they relate to Vision Zero adoption. However, attending also reinforced my belief that Vision Zero will produce better and more palatable results if motorists get involved in the discussion. The members of the various groups promoting Vision Zero, and Philadelphia politicians, need to listen to our input and view our needs as an all-important part of the equation. Several speakers at the conference argued that Vision Zero is anything but utopian, but there is plenty of evidence that the advocacy groups that support it often take positions that are supported only by a small percentage of road users. Thus, there is a potential for Vision Zero to create revisions in street design that will punish motorists, rather than a series of balanced alterations that will be fair to all and produce a positive environment on our streets. A relevant case-history exists in the conversion of two, three-lane commuter routes that run in and out of the City of Long Beach, California to two car lanes plus a protected bike lane. A National Motorists Association member who is an avid bike rider wrote to the association describing streets where traffic flowed effortlessly before the change, but now stalls whenever a car stops to make a left turn or a truck stops to unload. The report on the change required by the National Highway Traffic Safety Administration revealed a significant deterioration in traffic flow. During one six-hour period on one of the two roads, 6,800 drivers were inconvenienced by significantly reduced travel speeds, including 1,000 who abandoned the road altogether out of frustration, while the ultimate result of the bike lane was to add 44 bikes to a total of 264. It’s clear that only the interests of bike riders were considered in the redesign, and that less-busy routes should have been chosen for the bike lanes. While the conference revealed that most Philadelphia city administrators have a sensible and balanced attitude about Vision Zero implementation, attending and reading various groups’ blogs revealed that well-intentioned groups with noble goals such as New York’s Transportation Alternatives and The Bicycle Coalition of Greater Philadelphia have a distorted view of motorist and pedestrian behavior and little sympathy even for the vast majority of safe and careful drivers. For example, Caroline Samponaro, deputy director of Transportation Alternatives, said at the conference, “The largest cause of New York crashes with pedestrians is speeding,” a severe distortion. The New York City Pedestrian Safety Study and Action Plan pegs the number of pedestrian crashes relating to speed as totaling only 21 percent, and that includes two factors – slippery pavement and limited sight distance – that can make it difficult for a driver to determine the maximum safe speed. The report also reveals that most New Yorkers were not even aware that the standard speed limit in the city was 30 mph when the report was prepared. Back in November, the Bicycle Coalition’s blog contained some comments that hardly reflect mainstream thought about the tragic death of a woman who was killed as she crossed Arch Street and was run over by a Duck Boat. The comments appeared in response to details about this accident included in PhillyVoice staff writer John Kopp’s article about pedestrian safety that appeared on Nov. 12, 2015. This view of pedestrian safety contrasts starkly with that of Philadelphia police Deputy Commissioner Kevin Bethel, in charge of patrol operations for the department. Bethel detailed a program that seeks to create within officers a more positive attitude about traffic enforcement duty, and instructs them to give warnings rather than tickets to those who violate crossing rules to create a positive educational environment. Thus, it’s clear that Vision Zero advocacy groups are quite biased against drivers, yet they are the ones who have the ears of Philadelphia politicians. If motorists’ needs are not considered along with the demands of bicycle and pedestrian advocates, the ultimate result could be street design so narrowly focused on pedestrian and bike safety that extreme driver frustration will result. Traffic engineering science teaches that motorist frustration leads to aggressive driving – just the kind of result Vision Zero is intended to prevent. Philadelphia motorists and politicians take note! John Baxter is a resident of Downingtown, Chester County, and member of the National Motorists Association, a grassroots alliance of motorists who advocate for traffic regulations and enforcement based on safety considerations.